I sort of take it in turns to come back to each of my games and then do an upgrade and when that happens I go through all the suggestions. I can't give you a date when I'd come back to Football-o-sauros though as I'd like to write a new game but please leave any ideas here for when I do have some free time. 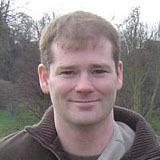 Sean O'Connor wrote: I sort of take it in turns to come back to each of my games and then do an upgrade and when that happens I go through all the suggestions. I can't give you a date when I'd come back to Football-o-sauros though as I'd like to write a new game but please leave any ideas here for when I do have some free time. cool. glad you take these suggestions into consideration 'cos i've seen some beauties. i really do hope you come back and upgrade this game soon.